Sunanare now! Last episode special! 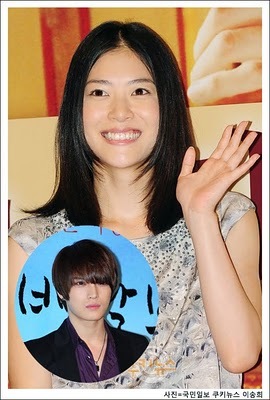 Haru and Doctor,Ueno Juri and Jaejoong who played the couple role. Looking back what left each others impression on their role? JJ: Haru was amazing. She is just amazing. So much that I can’t make it into words. JJ: oh, okay *laughs* Haru is a strong women…like Doctor is a little immature so Haru was always leading him. UJ: really? Haru seems like she’s bright and strong but she seems to be indecisive. But to Haru, it seems like Doctor made her positive. Doctor is honest, has a pure heart, playful, and would protect you. UJ: yeah. You take care of everyone. I think you’re relied by many people. UJ: see, he is reliable like this *laughs* Jaejoong-kun likes people so maybe that’s how his power is made. And he makes the atmosphere good too, I want to learn from him! JJ: thank you *shy* I’m simple-minded so when someone praises me it makes me want to make them happy, like… it makes me want to make them have fun. 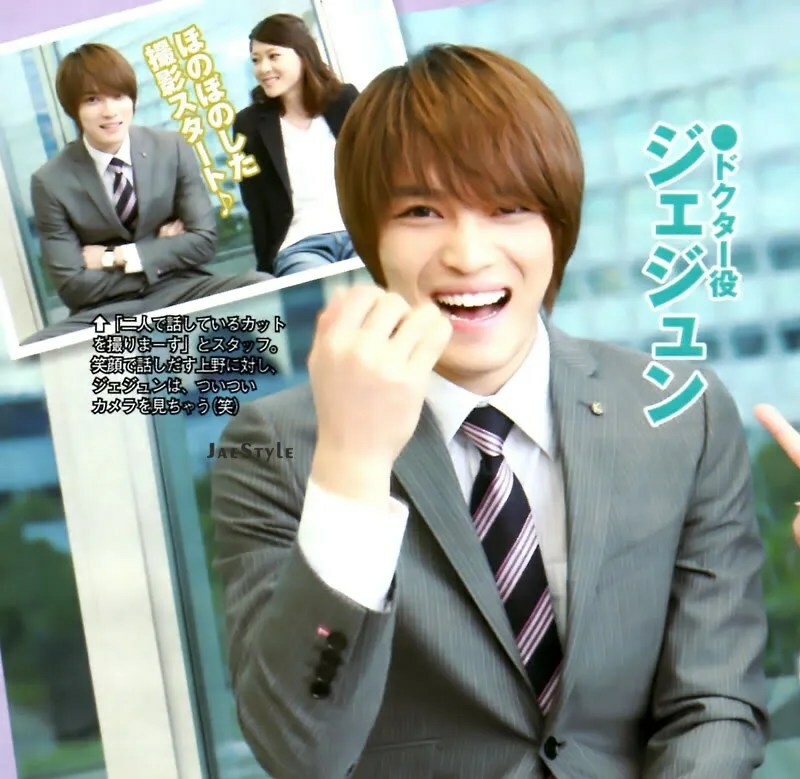 UJ: Thanks to Jaejoong-kun filing was fun. JJ: im sad that sunanare is ending. I can’t meet everyone anymore…. JJ: Everyone might be used to parting in dramas but im sad! Nakaji and Haru’s love comes to an end! Nakaji apologizes for leaving all his work behind to help Linda who was in danger. While Doctor proposes to Haru officially! The last episode will answer all the knotted love. Thank you everyone in Sunanare-club!